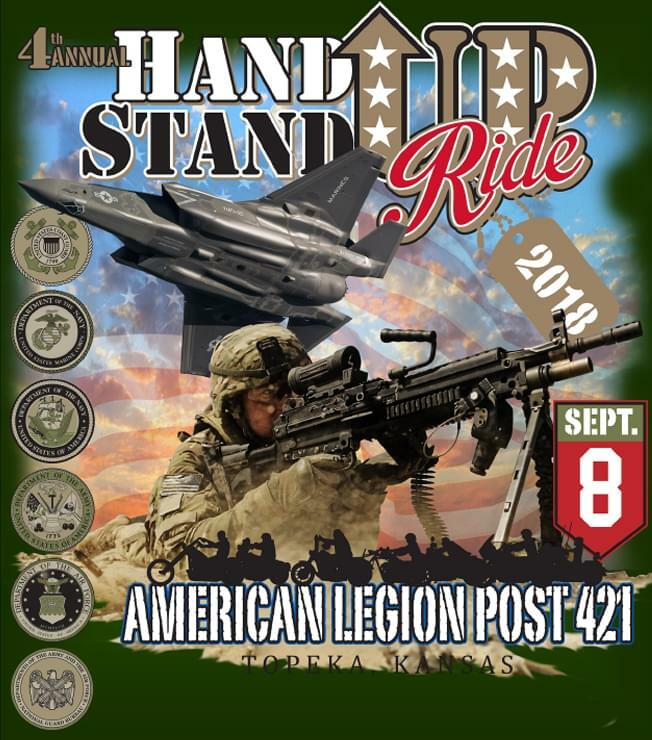 This ride benefits the PTSD patients at the Topeka VA Hospital and veterans in the Topeka community. Registration: 8 – 10am, day of, or register online at HandUpStandUp.org. Or you have the opportunity to register in person at Historic Harley from 9am – 3pm on Saturdays August 4th – September 1st. Tshirts can also be bought for $15 – $18. Lunch, Raffle Items and Entertainment at the Conclusion of the Ride.